Tel Aviv — As the exit polls came in, the activists at Blue and White’s campaign headquarters here went wild. And there were celebrations at Likud, too. After a divisive campaign, Israelis remain divided — even on the very basic question of who won the election. 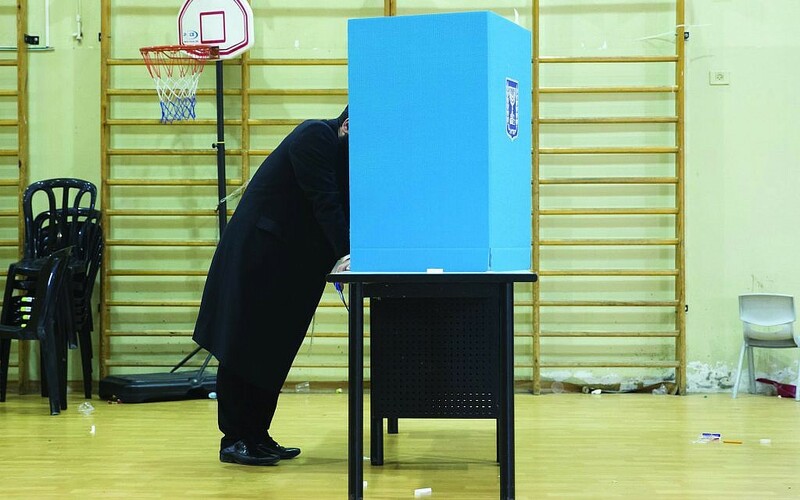 As the night drew on, adjusted exit polls had Likud with 35 seats and Blue and White with 34. The newbie Blue and White party is saying that it worked electoral magic and, at least based on exit polls, gained the largest number of votes and the most Knesset seats. The veteran Likud is saying that it is the only party with a realistic chance of forming a government because, all things considered, the right wing emerged stronger than the left wing. But at Blue and White’s celebration, the party’s four top figures took to the stage amid jubilant chanting, and leader Benny Gantz was introduced as the “next prime minister.” He said that a “light is shining” on Israel, and promised to be a prime minister for all Israelis, not only those who voted for him. There is precedent, even if Blue and White emerges as the largest party in the final count, for another party to form the government. In Israel it’s a matter of who the president deems to have the most realistic chance, and in 2009, the centrist Kadima, led by Tzipi Livni, missed the opportunity despite having the most seats. Whether Likud’s hope for building a coalition pans out or not, the Likud team will go down in history for managing to get back in the game after a dream-team centrist party stole its thunder — and doing so with a candidate who has been recommended for indictment. 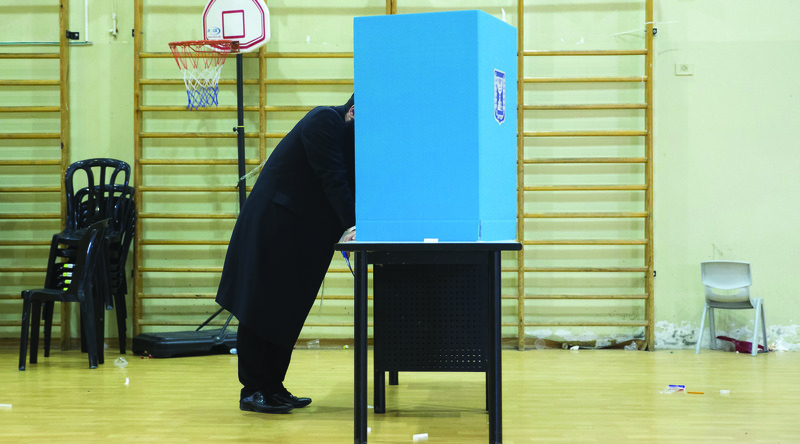 Until the very last moment, the Likud team pushed potential voters into crisis mode. “Emergency in the right,” Netanyahu declared a few hours before polls closed. He warned that the left was on the way to a clear and decisive victory, and even said that he was cancelling an event in order to knuckle down to work in Jerusalem to bring out voters. It was just the message that the right-wing needed if it was to leave him with a chance of heading the next coalition. It was about overcoming apathy among natural rightists, and persuading rightists who planned to vote for smaller parties to change their plan and vote Likud. And to this end, Netanyahu pulled the ultimate rabbit out of the hat. He had already declared his commitment to settlement building. He had already said that he won’t uproot settlers for peace. And he decided to go further — he said that he will declare sovereignty over West Bank settlements. The prime minister made the announcement in a television interview on Saturday night, and then gave an interview to the settlement-based Arutz Sheva network, saying that he has already told the White House of his intention. Netanyahu also highlighted his connections with world leaders, including Donald Trump and Vladimir Putin, and this message went down well with voters. During my Election Day travels, a falafel seller in Nahariya, Yoel Hedar told me he was convinced that Netanyahu’s BFF relationship with President Donald Trump makes him the only one to lead Israel. As Tuesday night turned into Wednesday morning, Netanyahu was pulling out all the stops — including rumored attempts to enlarge his party by unifying with the Kulanu party — to try to secure the opportunity to build the next coalition. If he manages this, it will be not only the ultimate campaign comeback but also a remarkable endorsement by a nation of a leader under serious suspicion for corruption and quite possibly about to face trial. Some will interpret it as a bold endorsement of his political skill, others a chilling endorsement of a cunning politician. But from both perspectives, it’s remarkable. Whether Blue and White really did win remains an open question.